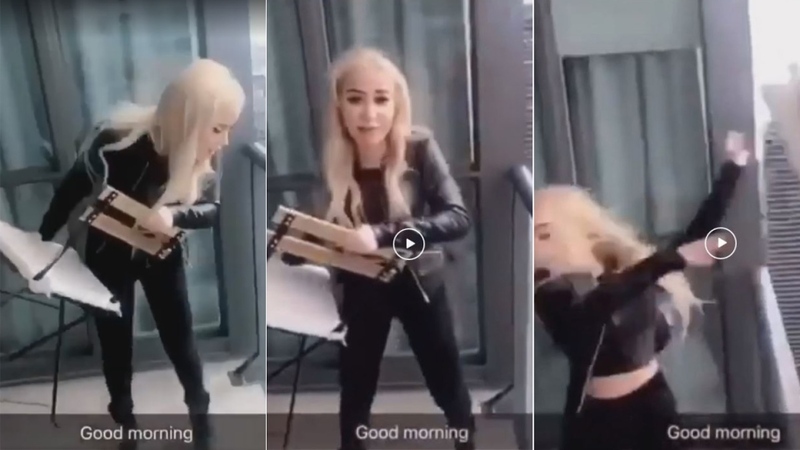 Toronto police have identified a woman seen on a widely-circulated video throwing a chair over a downtown condo balcony. The nine-second video started circulating online over the weekend. In it, a woman is seen standing on a high floor of a condo building near Harbour and York Streets and chucking a small chair over the balcony railing. The camera pans over the ledge and shows the chair tumbling toward the Gardiner Expressway. While the video ends before the chair his the ground, investigators said it landed at the front entrance of another condo building in the area. The chair and other items, also believed to also have been thrown, were later found by officers. 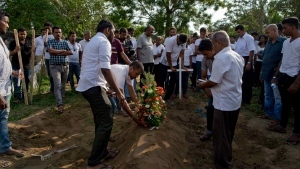 Police launched a criminal investigation into the matter on Sunday and made a public appeal for information on the woman’s identity one day later. By Tuesday afternoon, police said they had made contact with “either the perpetrator herself or her representative” and are working on a plan to have her surrender herself. If the woman does not surrender, police intend to pursue a warrant for her arrest. “The police are in the process of making arrangements with that female and her representative to surrender herself to a local police division. I’m told that because of the weather, that may not happen today. 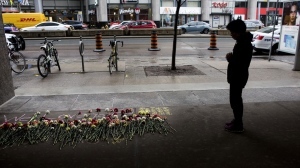 It may happen later on tonight, if not, tomorrow,” said former homicide detective and CP24 crime specialist Steve Ryan. Ryan said the woman will be arrested upon showing up at a station. At that point, it’s likely charges will be laid. “She will probably be released on what’s called a recognizance, meaning that she will promise to abide by certain conditions to the officer in charge at the station before being released,” he said. Police have described the incident as “outrageous.” They are also looking into whether the condo unit – some 20 to 30 storeys high – was being rented out at the time of the incident. In a statement, Airbnb said they are investigating whether any guests were involved in the incident.